If you are viewing this page I am assuming you have found the one whom your soul loves. This is such an exciting time! Your wedding day is one of the most important and romantic days of your life! I pray that this chapter would be everything you ever dreamed it would be and more. Every laugh, smile, tear and moment of this season as I prepared to marry the love of my life are some of my most precious memories. I would be honored to join with you through this season and capture this chapter with photographs that will last you and yours lifetimes. I have provided below information on pricing for engagement, bridal and wedding day packages. You can view more of my work on the blog. All packages include high resolution digital images delivered via proofing gallery with print release and the ability to order a wide variety of high quality products from the proofing gallery at a competitive price. I would love nothing more than to capture the true essence of your and your husband-to-be's relationship in photographs to share with your closest friends and family. This moment in time is precious and a must when considering wedding packages. I like to get to know you and choose a location(s) and shoot style that truly embodies you as a couple and your story. Engagement pics may be bundled if you purchase a wedding package with DanielleJade Photography. All proofs are edited and provided on a proofing site for viewing, sharing and download. Bridal Portraits are among my favorite! I would love to photograph you as a bride and truly reflect your personality! This gives you the perfect opportunity to put on your dress, do a trial-run on your hair, makeup and all of the little details that will make you look your absolute best on your big day perfect! This also allows you to save some time in your wedding day schedule, because we will have the majority of your bridal portraits done, and also an opportunity to have a bridal portrait at your wedding! A bridal session gives you an opportunity to trial run your wedding day attire and gives us a chance to find your best look for the wedding day, while getting some to-die-for shots that we wouldn't have time to capture on your wedding day. 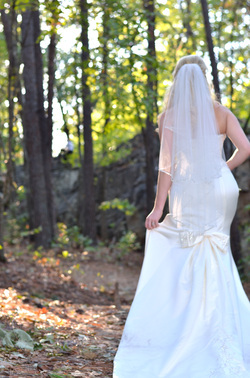 Bridal portraits may be bundled if you purchase a wedding package with DanielleJade Photography. All proofs are edited and provided on a proofing site for viewing, sharing and download. The decision to entrust someone with capturing the essence and emotions of your engagement and wedding day is not to be taken lightly. Capturing the raw emotion of newly engaged couple and the day you and the love of your life join together in holy matrimony is an art. I would be honored to be trusted and challenged to capture this sweet chapter of your story. I would love the opportunity to meet with you and your love, get to know your story and discuss your vision for engagement photos and your wedding day. I want to get to know you on a personal level, so that I can truly capture you. ​Getting to know my clients and growing with them is one of the greatest blessings of being a photographer. I aim to capture and highlight life's memories, moments and beauty that will last you and yours lifetimes. I am a hard worker and get your photos back to you as fast as I am able. I deliver your digital files to you via proofing site, where you may order or print from if you have no change requests. Prices include session fee and photographs. The photos acquired in your session are copyright of DanielleJade Photography, which means you may not alter the photos in anyway or publish images as your own. high res files will be released to you for printing purposes via proofing site. You may order larger prints, canvases, or specialty items through the proofing site as well. To inquire further about packages and sessions or print products available contact me.